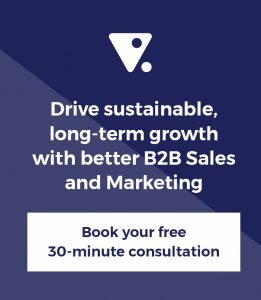 B2B marketing keynote – See Far, Go Fast! https://align.me/wp-content/uploads/align-me-logo.png 0 0 Hugh Macfarlane https://align.me/wp-content/uploads/align-me-logo.png Hugh Macfarlane2011-04-27 07:22:262016-12-01 04:32:17B2B marketing keynote - See Far, Go Fast! How do you automate the buyers journey in B2B marketing using social media? https://align.me/wp-content/uploads/align-me-logo.png 0 0 Hugh Macfarlane https://align.me/wp-content/uploads/align-me-logo.png Hugh Macfarlane2011-04-22 00:00:532016-12-01 04:17:15How do you automate the buyers journey in B2B marketing using social media?